"Amish Whimsy" was conceived of, designed and created by five women who met on the Arts and Crafts Board of TriStateOnline, which at the time was one of the few remaining freenets in the country. Under any other circumstances, these woman of varying ages and locales would not have met Over time, their friendship with one another was sealed by a shared passion for making objects of beauty and use with their hands. Though freenets thrived in the late 80's and early 90's, the onslaught of commercial providers and state of the art equipment took off, supplanting this seminal form of cyber communication. Though the proverbial writing was on the wall regarding the demise of freenets, the TSO community joined together in a last effort to save the special venue we had all created. Toward this end, Linda Alexander, Barbara Bruser, Melanie Marsh, Becky Schneider and Kristina Strom committed themselves to making a quilt which was intended to be raffled to provide needed funds for TSO. 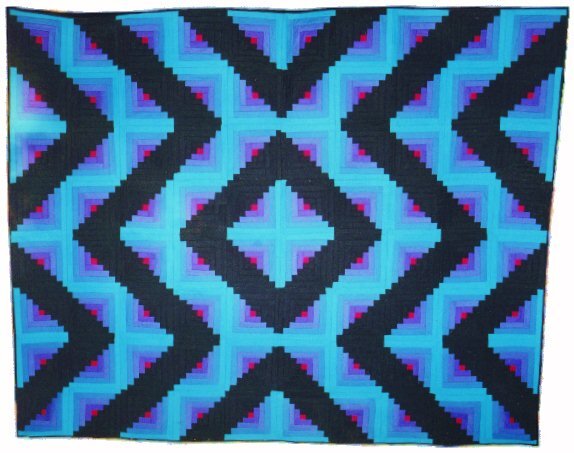 Looking back, the planning and process of making this quilt is nothing less than astonishing. The group met at central places all over the TriState in the various stages of design. How to execute the design was another adventure in and of itself, and a story that some day should be written in detail. Alas, despite heroic attempts to complete this project before the freenet folded, their goal was not met. 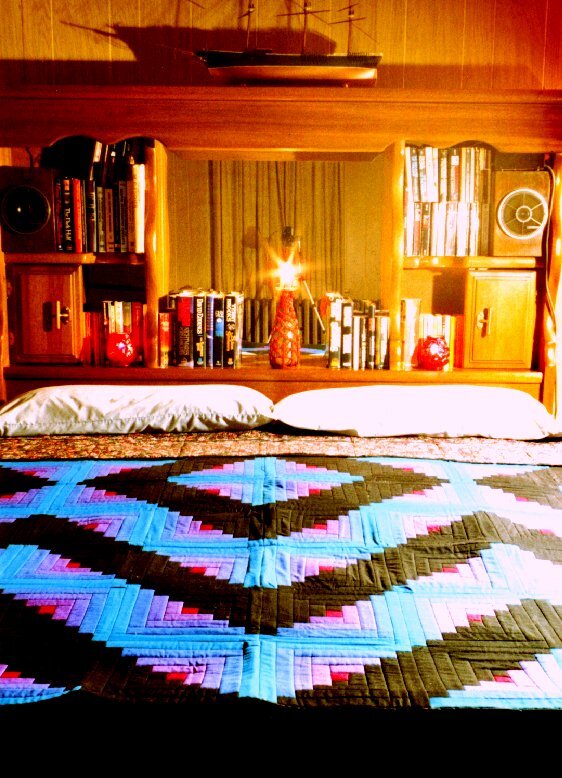 Still, the quilt was almost done and now needed a home where the memory of TSO would last forever. They decided to give the quilt to Larry Ward who was the stalwart Adminstrator of TSO in its final year, during which he devoted not only 60-80 hours a week but literally almost lost his life in his attempts to save TSO. It now rests gracefully on his bed and serves as a reminder to him that his efforts were not in vain, nor were those of the group. While TSO died its natural and inevitable death, its spirit lives on in the everlasting friendships forged while the quilt was being made and, most importantly, in the fact that it is comforting a very special person on a daily basis.